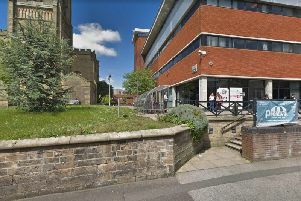 Hundreds of jobs are set to be axed by Lancashire County Council and much-loved services ended in a massive shake-up of council provision. Budget proposals announced on Monday show how the authority plans to save £65m over the next two years, resulting in the loss of an estimated 367 full time jobs. These posts will go on top of hundreds already agreed and council leader County Coun Jennifer Mein has warned that some will be compulsory. She said: “The reality of our financial situation is such that we will have to use the bulk of our reserves just to balance the budget over the next two years. And by 2017/18, we will only just have enough money to pay for our statutory services. The job losses would be in addition to the 1,100 staff who have already left the authority, having taken voluntary redundancy since January 2014. At the same time the council says it will continue to work on delivering savings agreed last year, adding up to a further saving of almost £148m over the period 2015/16 to 2017/18 and a further reduction of more than 500 full-time equivalent posts. l Closure of 108 out of 220 county council owned properties. l Ending free accessible transport services for all adults attending day centres from September 1, 2016. This would affect 126,900 journeys made by elderly and 137,900 journeys made each year learning and physically disabled and sensory impaired people. l Cut support for Blackpool Tramway maintenance which could threaten the county’s entire tram service. l Residents’ parking charges will be £25 from January 1.
l New fees will be introduced at county bus stations for bus companies - including Preston and Chorley bus stations with bus company fees trebling to £1.50 for each departure from April 2016.
l At least seven directors jobs will go with more than three staff to leave the council’s executive support team. l The Trading Standards service will be reorganised and trimmed. l Some of the waste processing activities at Farington and Thornton waste recovery parks, will be cut and the co-composting of mingled food and garden waste will cease. It is predicted many of the waste company staff will face redundancy. The proposals will be considered by the council’s cabinet on Thursday November 26. Deputy leader David Borrow, cabinet member with responsibility for finance, said: “It is impossible to overstate the seriousness of our financial situation. “Prudent financial management has enabled the council to build up significant reserves, that is money we can call on to cover unexpected events.